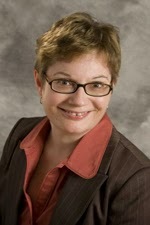 Jana Richards, welcome back to Romance Lives Forever. 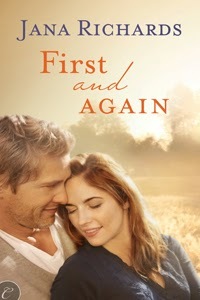 We're excited to interview your character, Bridget Grant, from the book, First And Again. Cover artist: Morrow Creative Ltd.
Tagline: Bridget Grant returns to her hometown in North Dakota, and finds all the problems she left behind are still there, including her first love. She's swallowed her pride and moved back to her hometown with her daughter after her divorce and the loss of her catering company. Now she's trying to navigate the strained relationships she'd left behind – including her first love, Jack Davison. Jack never forgot Bridget, or the day she left town – and him. When Bridget caters a lunch at Jack's tourist ranch, old flames reignite. They have more in common than ever – Jack's also a single parent. Though they both try to keep things casual, Bridget, Jack and their girls are starting to look a lot like a family. But Bridget's only planning to stay in Paradise until she's saved enough to relaunch her business. Jack's invested too much in his ranch to leave. And with their daughters involved both have a lot more at stake than heartbreak. How can they risk falling in love? Jack Davison is a North Dakota rancher and owner of the Lazy J Guest Ranch. Jack is thirty-nine years old, and aside from a few years spent working in Texas, he's lived in North Dakota all his life. Bridget Grant is a chef. Her last job was as head chef of the catering company that she and her ex-husband owned in San Francisco. But her life fell apart, and she's forced to return to the hometown she couldn't wait to leave twenty years ago. She's thirty-eight years old. There's not much to tell really. I have a fifteen year old daughter named Rebecca, who's angry with me for moving her away from her father. Not that he cared where we went. My first night in Paradise, my sister humiliated me in front of Jack and a bunch of her friends. My mother and I haven't gotten along since before I developed breasts. Oh, and every time I think about cooking, I have an anxiety attack. Not good for a professional chef. Aside from that, everything's peachy. Thanks for asking. Tell us about Jack Davison. Jack's a great guy. He's funny and kind, and oh God, what a kisser! Why the hell couldn't he have gone bald and grown a paunch in the last twenty years? Instead he's as fit and good looking as he was back then. I have enough problems without my hormones running amok every time I see him. Jack is also a wonderful father. When I see him with Rebecca and his daughter Leslie, I can't help but think about the children we never had together. Lately my strongest point seems to be my ability to piss people off. What would Jack say is your strongest point? He'd probably say I was good mother. That's one thing we can agree on. Rebecca is my first priority, always. Jack also thinks I'll get back on my feet soon and get my life on track again. I'm not as confident as he is on that one. What would Jack say is your biggest weakness? Likely my inability to stay out his business. We disagree on how he's raising his daughter. Leslie needs to learn to do things for herself and be more independent. Jack insists on doing everything for her. Just because she has Down Syndrome doesn't mean she's helpless. I was born in Minneapolis but we moved to Paradise when I was six, after my parents broke up. I never saw my father again. My father was my hero and I've never understood why my mother never allowed him to visit my sister and me after we came to North Dakota. Paradise was a safe place to grow up, but I never felt I truly belonged here. I can't say I regret marrying my ex-husband because that marriage gave me Rebecca. But I wasted a lot of years in an unhappy, unhealthy marriage. I'm not sorry I left Paradise as soon as I finished high school, even though Jack wanted me to stay. As much as I loved him back then, I was afraid I'd grow to resent him if I'd stayed instead of following my dreams. His life has always been here in Paradise, and mine wasn't. I wish I wasn't always at odds with my family. I'd give anything for a better relationship with my mother and sister. I wish my daughter wouldn't act out so much, and I wish she could understand why I had to move us out here. To work in a professional kitchen again, without panicking. And if I was allowed two wishes, I'd love to be a mother to a second child. Someplace where I'm free to do the things I love. Someplace where I can be me. Someplace where I'm loved. Always a Bridesmaid – Book 3, Left at the Altar Series. Comment on this blog for a chance to win a $5 Amazon Gift Certificate. I will randomly pick a winner from all comments received by Wednesday, October 9 at 12 noon, CST. Good luck! Thanks for having me here today, Kayelle! Always happy to have you, Jana! The book sounds great, Jana!